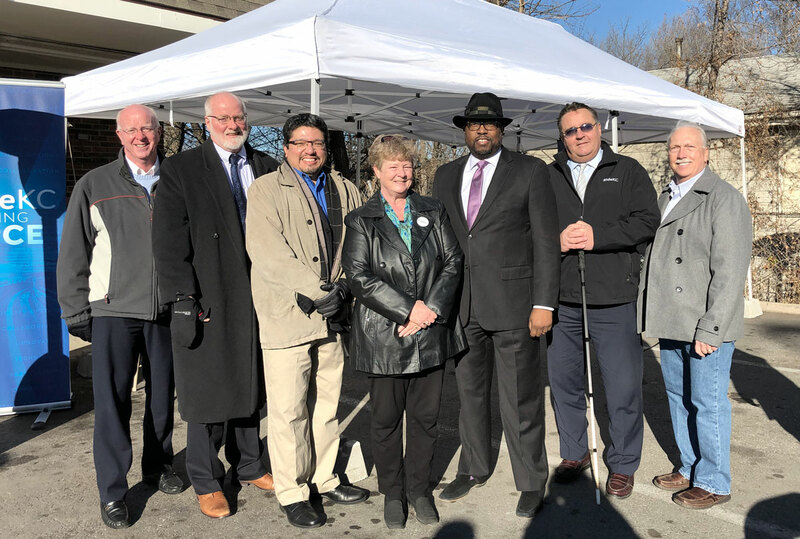 Earlier this month, the Unified Government and KCATA held a Ribbon Cutting Ceremony at Fast Fred’s Supermarket on 18th Street to celebrate the first new transit service operated by the Unified Government (UG) of Wyandotte County/Kansas City, Kan., in over 10 years. 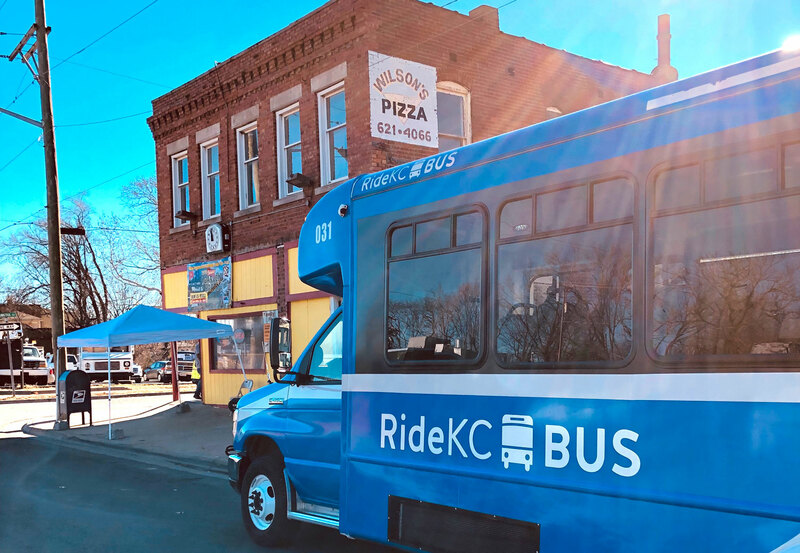 The new 118 18th Street route started Jan. 2, 2019, and is the first all-day route from Kansas City, Kan., to Johnson County, Kan. It gets passengers from Quindaro Blvd. to 51st Street in Roeland Park in under 25 minutes. The bus runs hourly, every weekday from 5:30 a.m. to 7:30 p.m.
UG Commissioners Harold L. Johnson, Jr. and Melissa Bynum provided remarks along with KCATA CEO Robbie Makinen and KCATA Board Chairman Daniel Serda. Bynum also serves on the KCATA Board of Commissioners. The new route will impact over 14,000 people who live within a quarter-mile of the route and will be a transit option for over 5,000 thousand jobs located within a quarter-mile of the route. The ribbon cutting was held on Tuesday, Jan. 8, 2019, at 10 a.m. in front of Fast Fred's Market located at 1806 N. 18th Street. A "How-to-Ride" information session was held following the ribbon cutting ceremony at Wilson's Pizza and Grill located at 1801 Quindaro Blvd. Blog adapted from the ENews Source Newletter. 118 18th Street bus on Quindaro at Wilson's Pizza.